That’s the really neat thing about Dan Quayle, as you must have realized from the first moment you looked into those lovely blue eyes: impeachment insurance. Personally, I can’t see why it would be any less romantic to find a husband in a nice four-color catalogue than in the average downtown bar at happy hour. That’s free enterprise, friends: freedom to gamble, freedom to lose. And the great thing — the truly democratic thing about it — is that you don’t even have to be a player to lose. 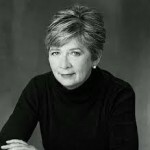 Barbara Ehrenreich is an American feminist, democratic socialist, and political activist who describes herself as a myth buster by trade, and has been called a veteran muckraker by The New Yorker. During the 1980s and early 1990s she was a prominent figure in the Democratic Socialists of America. Ehrenreich studied chemistry at Reed College, graduating in 1963. Her senior thesis was entitled Electrochemical oscillations of the silicon anode. In 1968, she received a Ph.D in cellular immunology from Rockefeller University. In 1980, Ehrenreich shared the National Magazine Award for excellence in reporting with colleagues at Mother Jones magazine. In 1998, she was named Humanist of the Year by the American Humanist Association. She is a widely read and award-winning columnist and essayist, and author of 21 books. Ehrenreich is perhaps best known for her 2001 book Nickel and Dimed: On Getting By in America. In 2007, she received the Freedom from Want Medal, awarded by the Roosevelt Institute in celebration of those whose life's work embodies FDR's Four Freedoms.